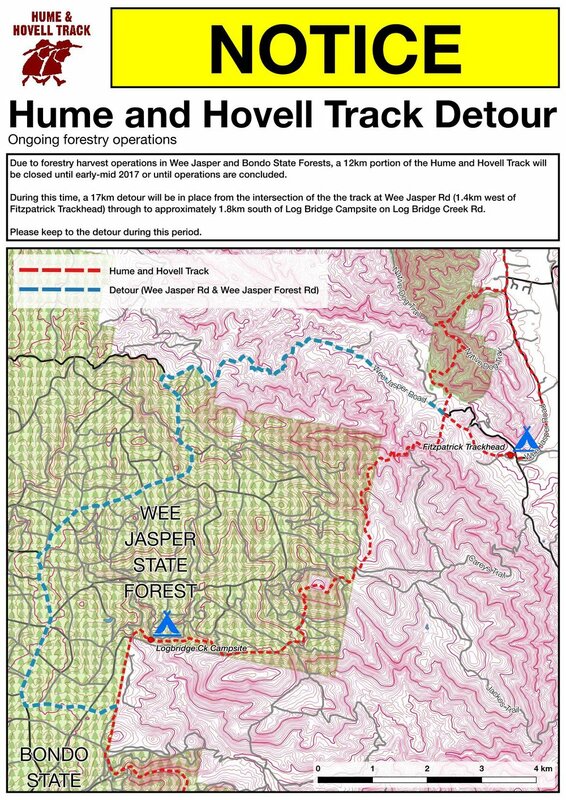 Due to continuing forestry operations in the Wee Jasper State Forest, the Hume and Hovell Track remains closed between Fitzpatrick Trackhead and Log Bridge Campsite. Operations are expected to be completed around July, 2017. During this time, please respect the track closure signs.